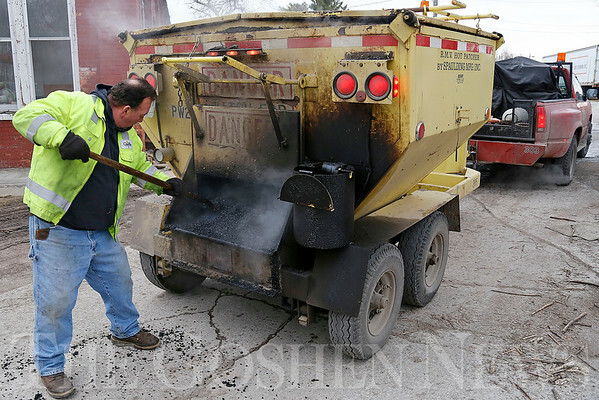 Goshen Street Department employee Steve Howard stirs up the cold patch used to fill potholes on East Jefferson Street in Goshen Wednesday morning. Crews worked to fill potholes on city streets and alleys throughout the morning. Howard said the city works on fixing the problem areas throughout the year.